One retailer’s loss could be another retailer’s gain: Even though Toys R Us is facing bankruptcy, other retailers may benefit from the embattled toy retailer’s demise. Amazon could take over some of Toys R Us’ stores, which may be soon vacant as the retailer winds down its operations. And while Amazon doesn’t want to keep the Toys R Us brand, it could use the space to display its own products, Bloomberg reported. But the stores could, for example, give Alexa — and the devices it powers — a brick-and-mortar home. The voice-activated technology’s benefits are easier for consumers to see and experience in person, after all. Beyond Alexa and the Amazon Echo, Toys R Us’ space could be of use to the eCommerce giant for, say, groceries. Think of the new stores as mini-Whole Foods delivery depots: If Amazon were to take over some of the space left vacant by Toys R Us, the company could gain space to store groceries for delivery. In addition to groceries, Amazon has been growing its brick-and-mortar presence. For example, the retailer is reportedly gearing up to open as many as six of its Amazon Go cashless brick-and-mortar convenience stores. But whatever Amazon has in mind for Toys R Us, talk of the company taking over its stores is still just speculation: Those plans may never come to life. About three years ago, Amazon considered taking over a few RadioShack locations when the retailer went bankrupt. As with Toys R Us, RadioShack’s locations would have been places in which to showcase the company’s hardware. In the end, Amazon’s plans to take over RadioShack’s locations never materialized. Had that happened, it would have been the retailer’s biggest buy-in into traditional retail at the time. One retailer’s demise might be another’s resurgence: KB Toys may resurrect following the gap in the market left by Toys R Us. A company that purchases defunct brands, Strategic Marks, is planning to open 1,000 pop-up shops with KB Toys branding just in time for Black Friday and the holidays. As a result, Kassoff is looking to team up with companies that have a focus on pop-up retail shops, such as Party City Holdco Inc., Spencer Spirit Holdings Inc. and Go! Retail Group. Who knows: After the holiday season, some of those stores could very well become permanent, he told CNNMoney. Ironically, Strategic Marks purchased the KB Toys name from Bain Capital — the firm that took Toys R Us private in 2006. Not all businesses could gain from Toys R Us’ losses. In fact, the retailer’s bankruptcy could make some of its suppliers lose money lent through trade credit. While Toys R Us said that it would try to honor its payments to suppliers and lenders, the embattled toy retailer is seeking approval to seize over $450 million in payments to suppliers, Reuters reported. Since the company bought products on unsecured trade credit, some of its trade vendors want the retailer to send back unpaid inventory. If Toys R Us doesn’t return the goods to the suppliers, the retailer could conceivably sell the inventory and use the money to pay bankruptcy lawyers as well as secured lenders. As a result, a bleak reality for the brick-and-mortar retailer’s suppliers remains: With the company shuttering all of its U.S. stores as part of its bankruptcy, small vendors could follow suit as Toys R Us and Babies R Us locations disappear. 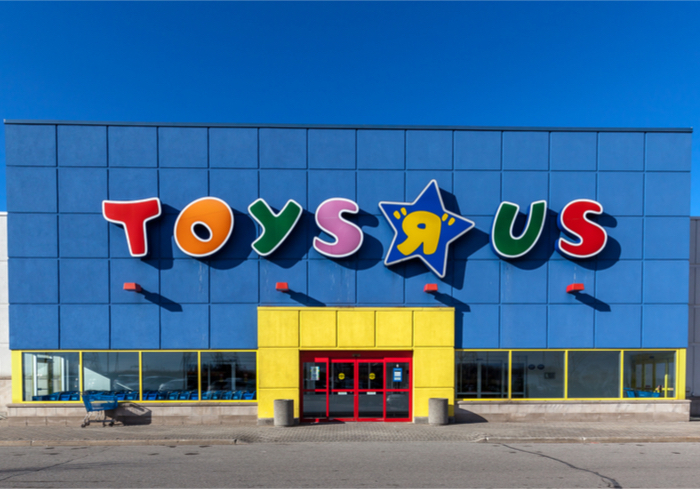 In the end, retailers could benefit from Toys R Us’ demise. Suppliers, on the other hand, may end up drawing the short straw in the retailer’s bankruptcy proceedings.